Diwali is a festival of light, firing crackers and eating sweets. Everyone is excited to celebrate this festival with their family member and friends. But besides having fun, you must also ensure the safety of your family members, friends, and especially kids. Below are the safety tips to prevent any kind of accidents on this joyous occasion. Wear thick cotton clothes and avoid clothes made up of synthetic material while firing crackers. The reason behind this is synthetic material catches fire easily in comparison to cotton clothes. Also, avoid long and loose clothes as they may catch fire easily. Buy Fireworks only from a licensed shop. Before you use them to keep them safely in a box away from any source of ignition. Before using the crackers, read the precautions and follow them. Choose an open ground to fire crackers. Avoid congested, crowded and narrow places. Keep the fireworks away from toddlers. If your child is big to make sure there is an adult with them to monitor them while firing crackers. Instruct your children and other family members to stay at a distance of one arm length from the fireworks after igniting them. Before igniting rockets and other aerial fireworks, make sure they face upwards and not towards any open door or window. Do not fire too many crackers at a time. Better one person should light one cracker at a time and move to a distance. Others should watch this from a distance. Always keeps a bucket of water and blankets ready to take immediate action in the case of a sudden fire break out. After the crackers have been used, discard them in the water-filled bucket so that nobody steps on it and hurt themselves. You may also put sand on the used firecrackers. While driving or walking be alert not to drive over or step on crackers. Remember your safety is in your hand. Also teach your kids to follow this. The noise caused due to the crackers may be agonizing for the pets so make sure not to leave them alone and keep them away from the crackers. Also, make sure and teach your kids not to disturb street animals and maintain a distance from them while firing crackers. Keep candles and diyas away from curtains and the other source of ignition. It is better if you keep your vehicles on the day of Diwali in your garage. Diwali is a time to spread happiness, but the noise and the air pollution caused due to fireworks may cause discomfort to others especially older people. So it is better if you celebrate this festival with care and sensitivity. 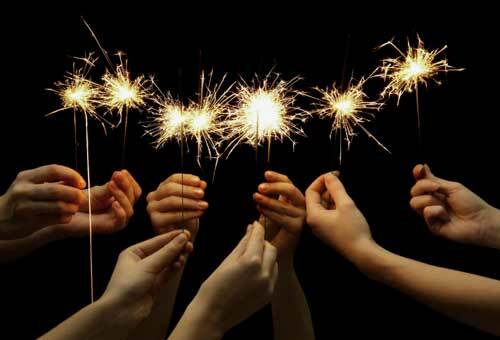 Better use fireworks that create less noise and pollution.